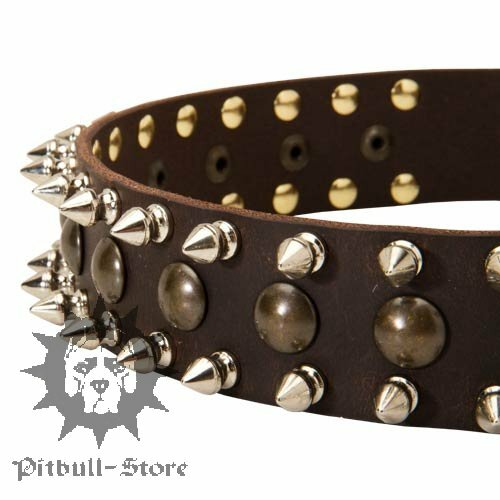 We`re glad to offer you this fancy studded & spiked dog collar for walking and training your Pitbull, Staffy and similar dog breeds. 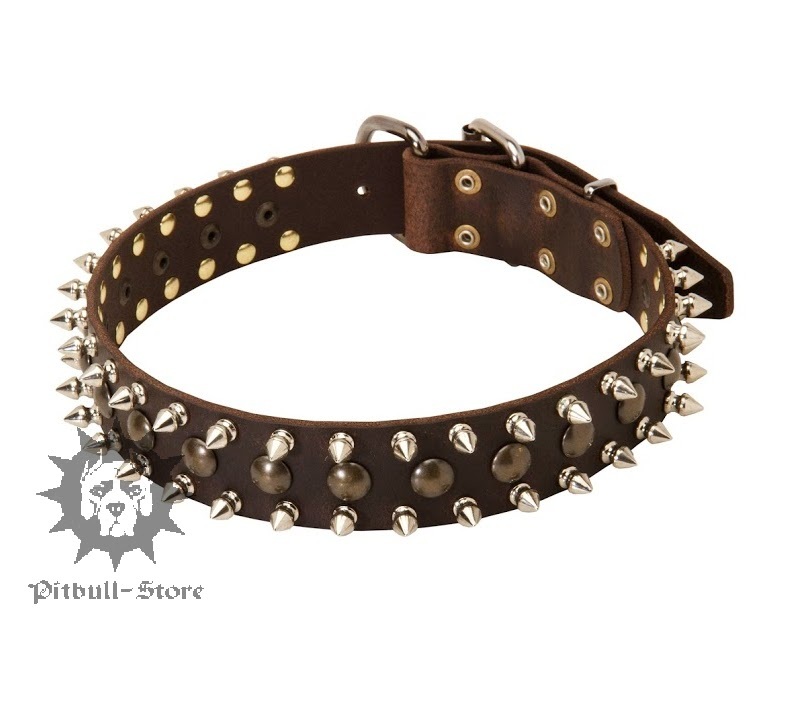 This leather dog collar is distinct in peculiar design and excellent quality. 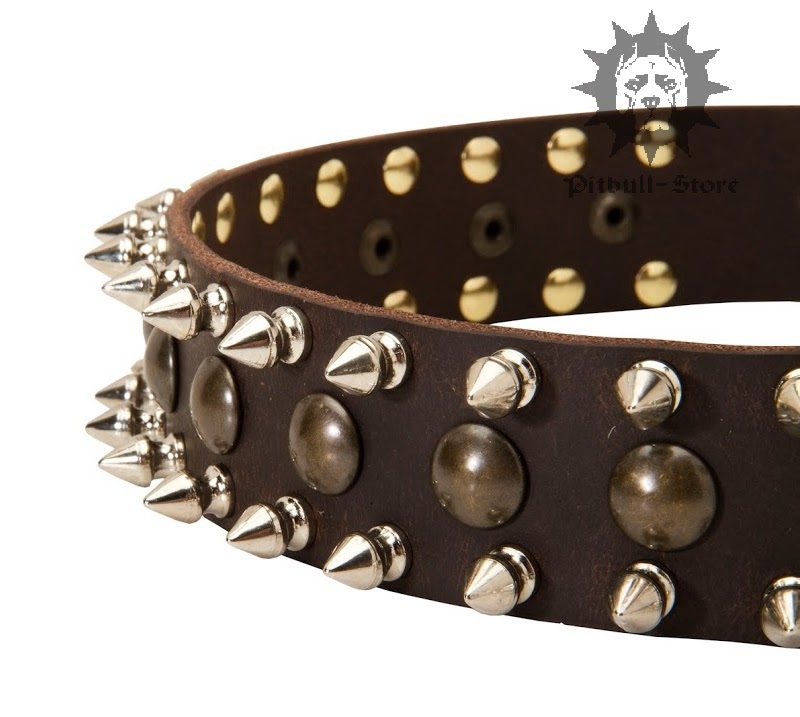 It`s decorated with 2 rows of nickel spikes and 1 row of brass studs. 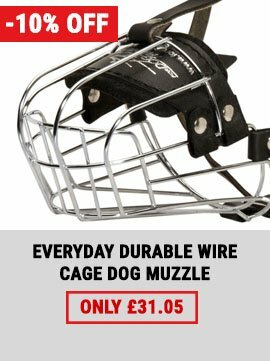 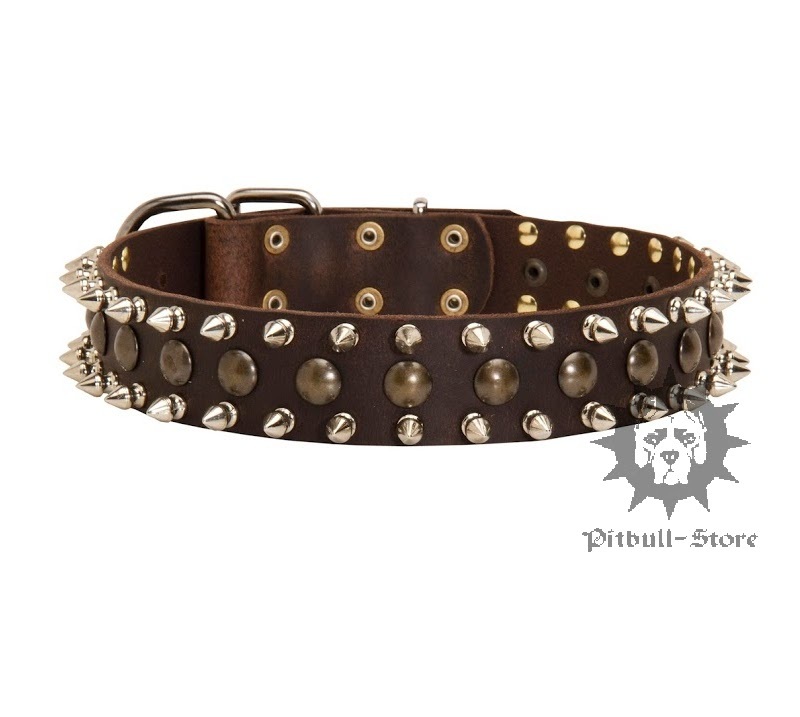 Due to its benefits this spiked and studded dog collar is multifunctional and all-purpose in use, it gives you a total control under your strong pet, allows you to correct its movements and enjoy calm dog walks. 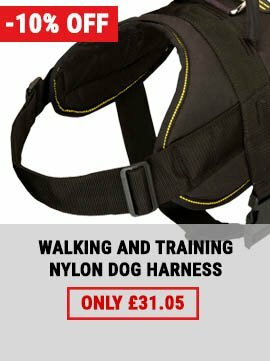 As you know, genuine leather dog accessories require special care. 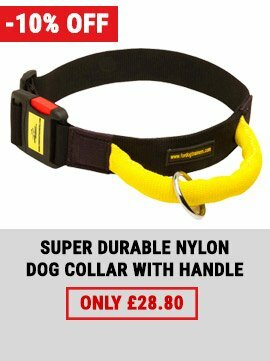 we would remind you that you should reduce contact of the collar with water and shouldn't dry it near heating devices. 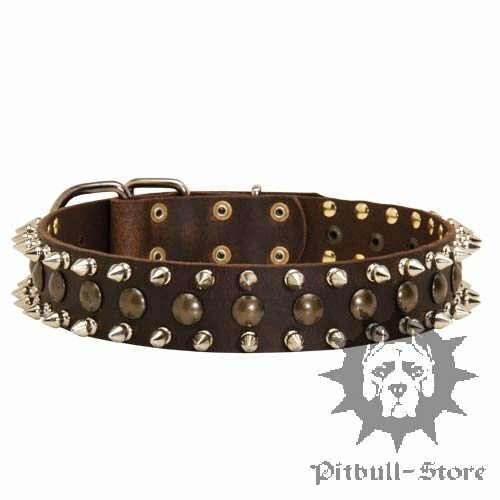 Lubricate this spiked and studded dog collar with our leather care balsam to increase its service term. 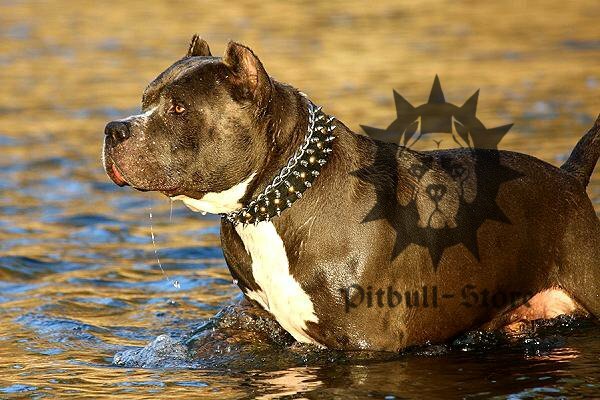 Check our selected quality fancy dog collars for your beloved Pitbull or Staffy.